We offer two collar stay lengths to compliment your closet. Our standard size (2.5 inches) is used in most shirts. 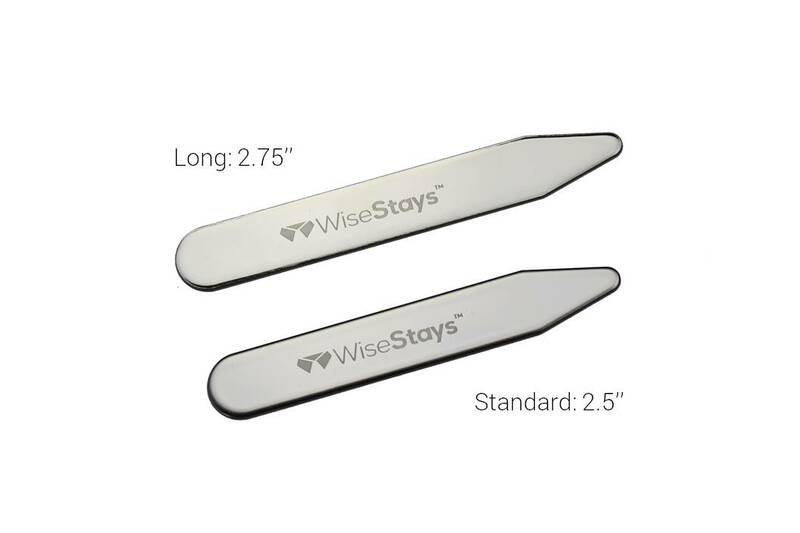 Our long size (2.75 inches) is for shirts with longer collars. Check the length of the collar stays in your favorite shirts, order our standard size to play it safe, or subscribe to both sizes and upgrade stays throughout your wardrobe. Shopping for the motivated man in your life?